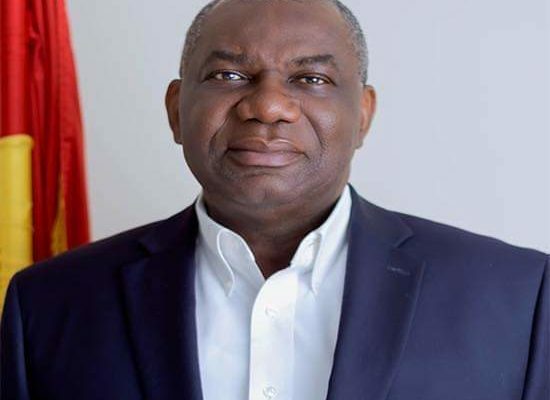 Former Minister for Energy Boakye Kyeremateng Agyarko has turned 63 years today [April 16, 2019]. Agyarko was born in 1956, in Kumasi in the Ashanti Region to Kwasi Agyarko. His father was a merchant and United Party activist from Jamase, Ashanti Region and his mother was Jane Ladze Padi from Krobo Odumase in the Eastern Region. Agyarko attended the K. O. Methodist Primary School in Ashtown and the Kwame Nkrumah University of Science and Technology Primary School in Kumasi. He then proceeded to Mfantsipim School in Cape Coast for his secondary education from where he had both his GCE Ordinary Level and GCE Advanced Level certified. He obtained his Bachelor of Arts degree in Economics and Political Science from the University of Ghana, Legon. Agyarko entered politics at an early age and was the National Coordinator for the Ghana Union of Students and Youth Associations from 1979 to 1980. After graduating from the University of Ghana in 1980, Agyarko did his mandatory national service at the Ghana Union Nation of Students as the National Coordinator. When the national service ended in 1981, he was employed as a junior economist with Management and Investment Consultants in Accra. He worked there till 1984 where he was forced to flee Ghana due to an attempt on his life. This was After a failed coup d'etat led by Lance Corporal Halidu Giwa and Sergeant Abdul Malik, the military high command assumed that he was part of coup plotters. This was due to his high political activism and criticism of the economic policies adopted by the country's military leaders led by Jerry John Rawlings. He was arrested by men from the Ghana Armed Forces who took him to the Air Force Base at Burma Camp in Accra. He was shot at the base and sent to the 37 Military Hospital morgue. At the morgue, a nurse realised that he was not dead and rushed him to the emergency services where he was operated upon by Henry Koku Akpalu. After the surgery, he fled the country through the help of a friend, Monsieur Le Veloire and his two sisters. Agyarko emigrated the United States as a political refugee and enrolled at Pace University. After graduating from Pace University, he was employed by the Bank of New York, the oldest bank in the United States. He spent over twenty years at the bank and worked at senior levels in various departments of the Bank. The positions he held included Operations Management and Analysis, Product Development, Global Network Management, International banking and Asset Management and the Year 2000 (Y2K) Management Group. He had oversight responsibilities of various sectors and department notably in Trade, Finance, Loan Syndications, Asset Securitization and Structured Finance. He was the principal negotiator on the setting up of the Bank of New York in Mexico. While working in New York he became a member of the American Economic Association and an Associate Member of the American Institute of Bankers.He rose through the ranks of the bank and became Vice President and Head of Global Network Management for the Americans in the Investment Management and Services Division. He left the bank after 22 years so he could contest elections in Ghana. While in the US he wrote a weekly column in The Statesman Newspaper titled Letter from America from 1993 through 1998. He was a founding member of the New Patriotic Party in 1992. Within the party, he has held several positions including chairman of The Danquah Busia Club of North America, and briefly served as a Trustee of the Busia Foundation. He was elected the coordinator for the New Patriotic Party in North America. Agyarko was appointed National Campaign manager of the New Patriotic Party in the 2012 Presidential election. He was appointed the Policy Adviser to the Presidential Candidate of the New Patriotic Party during the 2016 election. In January 2017, Agyarko was appointed the Minister of Energy in the Akufo-Addo administration. He was approved by Parliament in February 2017 but was asked the step aside later. As the Energy Minister, Agyarko had supervisory responsibility for fifteen major agencies under the Ministry.